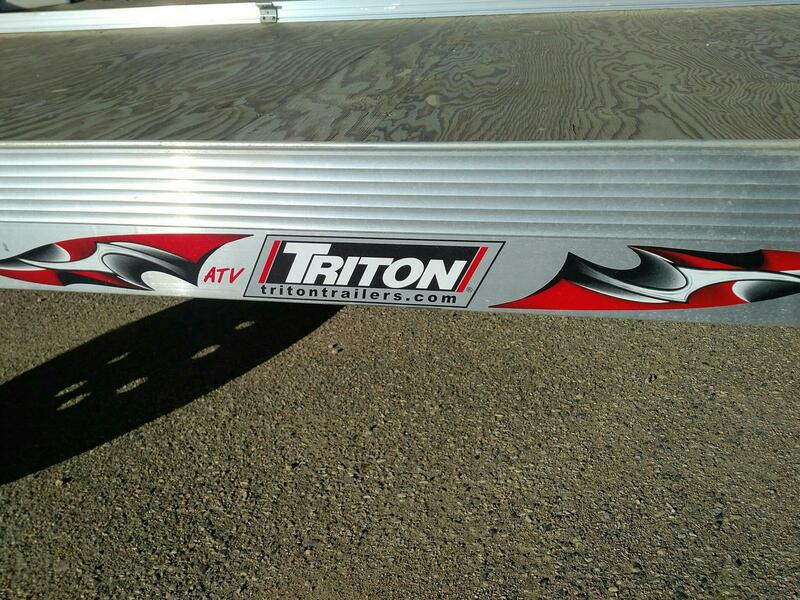 Our ATV line of trailers is designed with quality materials to ensure you receive the best possible ATV or UTV trailer experience. With features like twin ramps, and full-length adjustable tie-down positions, you can be sure every detail has been crafted to get you to the trail without any hassles. Take a look at some additional features below, and be sure to request a quote from your dealer when you find the model you’re looking for. 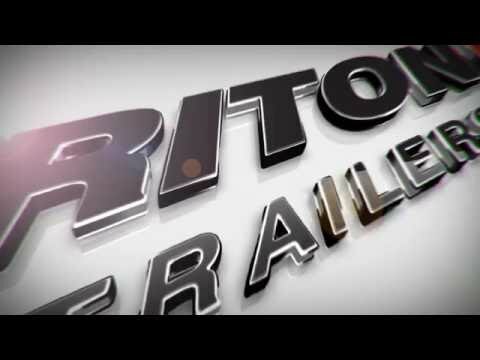 Whether you want to use your new Triton aluminum trailer for work, play, or both, make sure you check out the Proline Finance Advantage program when choosing your chariot. We offer long term and short term finance programs plus leasing options for our commercial clients. Speak with one of our finance brokers and have them customize a finance solution that makes the most sense for you or your business. •	Custom engineered aluminum extrusions provide for a higher level of fit and finish. 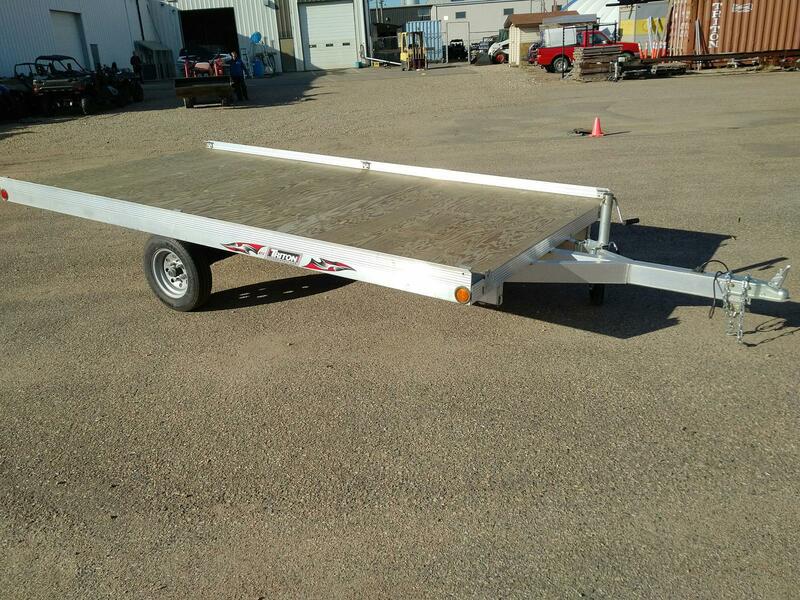 •	Custom designed side rails with integrated tie down system provide unlimited tie down flexibility. 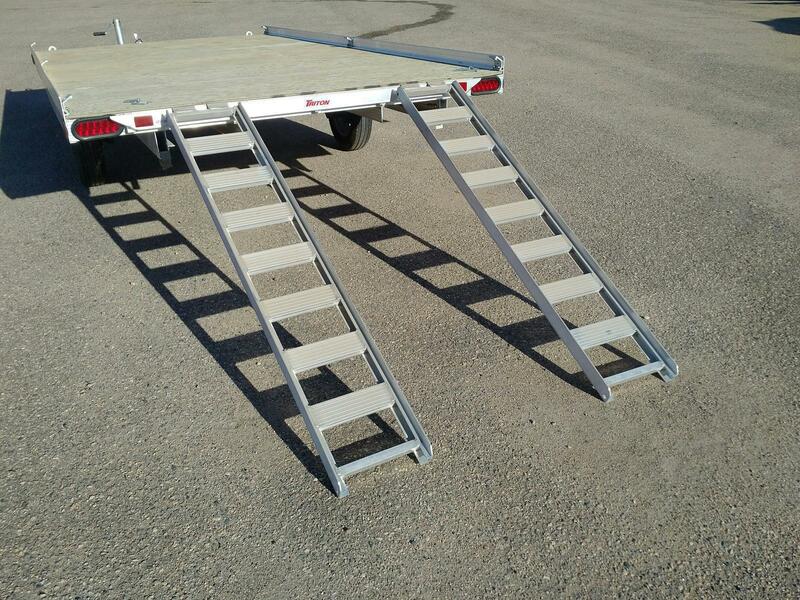 •	Flexible aluminum ramp system can be used to side load or rear load ATV’s and other machines. •	Under deck storage system provides secure and convenient storage for aluminum ramps. 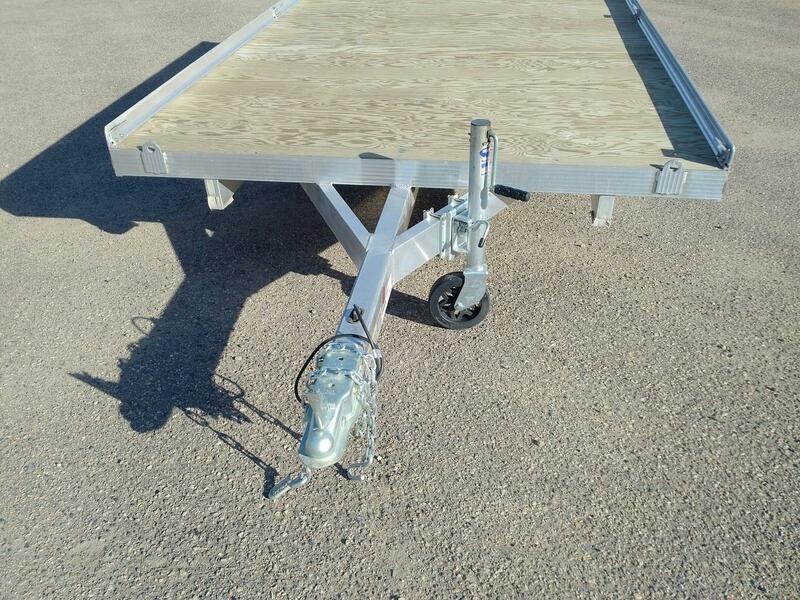 •	Patented ramp clamp storage system designed to reduce noise when hauling. 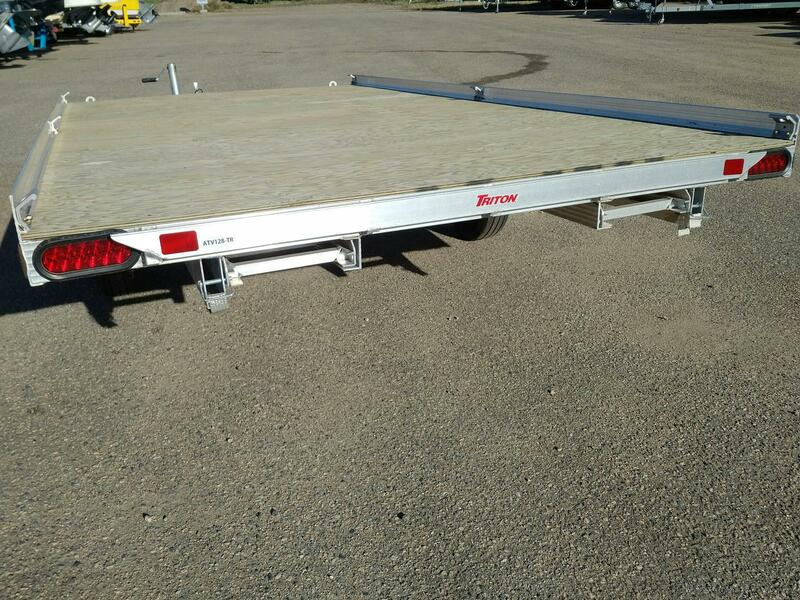 •	Integrated tie down system utilizes the full deck length for unlimited tie down flexibility. •	Fully treated marine grade 1/2” plywood decking for durability and backed by a limited lifetime warranty. 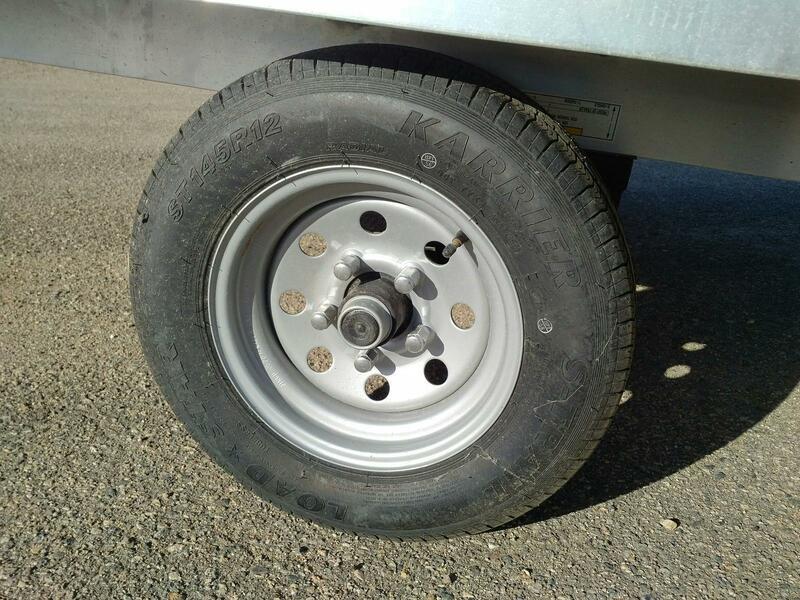 •	Four cord rubber torsion axle with independent suspension provides a smooth ride. •	LED lights installed with rubber grommets reduces vibration and protects them from the elements. 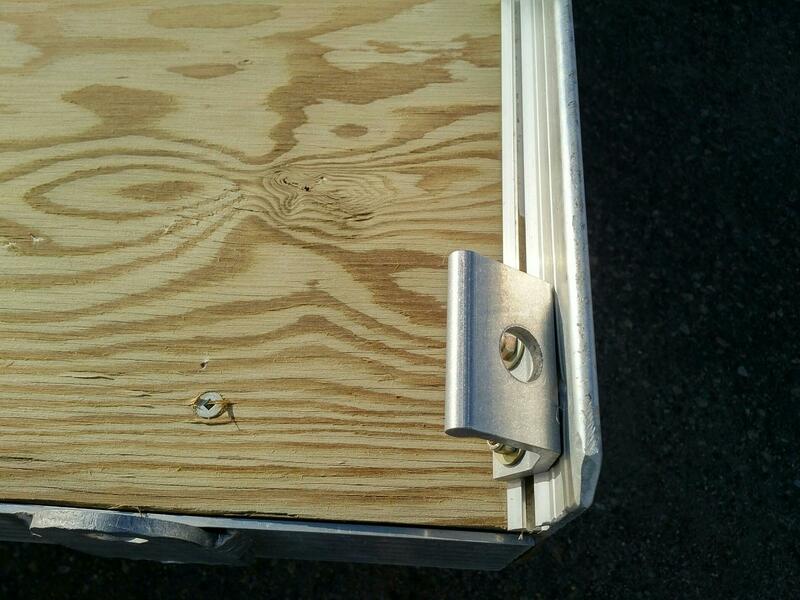 •	Custom molded wiring harness, routed through the trailer frame, keeps your wiring protected from the elements. •	Easy to use Bearing Lube system provides superior lubrication and long bearing life. •	Quality 2" coupler with steel safety chains and spring loaded clips for ease of use, strength and safety when you need it the most. •	Five year limited warranty when registered online. •	Carrying Capacity – 2425 lbs. 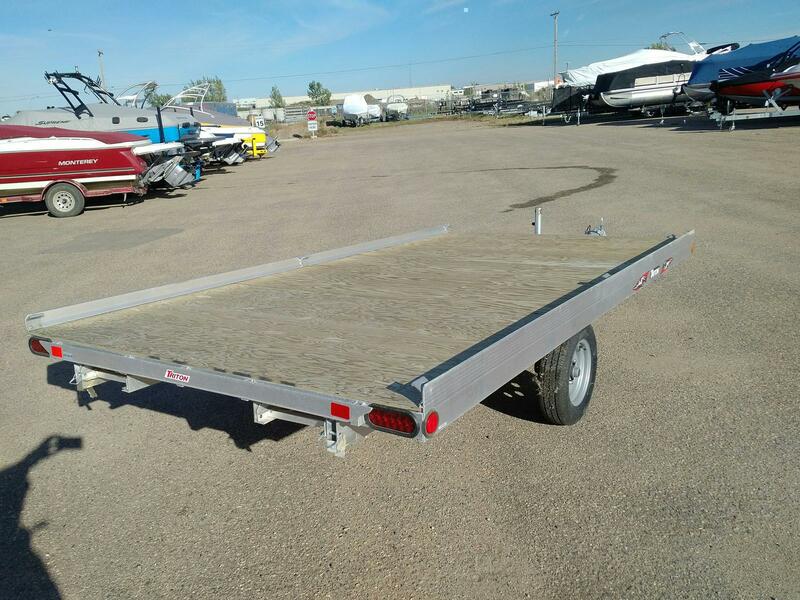 •	Trailer Weight – 570 lbs. w/o Brakes: 2425 lb. ; w/Brakes: 2930 lb.